The most innovative next-to skin performance base layer on the market. Engineered to ensure dynamic posture control during and after sports for improved athletic performance. REDUCE MUSCLE FATIGUE. Cool running in the Netherlands! There were no racing cars last Sunday on the Circuit Zandvoort, but 14.000 runners took over the formula 1 track for the 12th edition of the Runner&apos;s World Zandvoort Circuit Run. On the programme were the half marathon, 12K and the 5K. The demanding route along the formula 1 track, beach and sand dunes guaranteed a unique running experience. ODLO is proud partner of the event and is hoping to see all the runners again next year! ODLO HIGH TRAIL VANOISE: A HIGHER, HARDER, FASTER, STRONGER TRAIL RUNNING RACE ! TAKE PART OF IT ! The 4th edition of our brand event ODLO High Trail Vanoise® will take place from 5 -7 July in Val d&apos;Isère (French Alps). Consisting of 7 challenging races of varying levels, the ODLO High Trail Vanoise® allows well prepared and fit mountain trail runners, to discover impressive and magical high mountain sceneries of Tarentaise and Maurienne. In honour of today&apos;s International Women&apos;s Day, we are fully devoting our blog post to the female world and have created a "List of Favourites" for this spring/summer! Extra Support, extra comfort and extra cooling with our latest Active Everyday boxer shorts! ODLO’s high-performance running gear featuring the active cooling Ceramicool innovation address performance-oriented runners. Endurance enthusiasts need functional and comfortable gear to fully focus on their performance. The female body as the architect&apos;s plan: For its spring/summer 2019 Women’s Activewear collection, performance sportswear brand ODLO has joined forces with the design company of the legendary architect Zaha Hadid. In a similar way to ODLO, the architecture of the “Queen of the Curves” is distinguished by different layers and seamless transitions. In time for the start of the winter season, the Nordic teams sponsored by ODLO have been equipped with the award-winning Aeroskin Race Suit. For improved performance, ODLO has developed an innovative garment with unique aerodynamic advantages to save important seconds. This technologically advanced Race Suit is also available through the ODLO Custom Programme for passionate cross-country skiers who do all they can to win the race. Women&apos;s Activewear - IT&apos;S ALL ABOUT NATURAL! 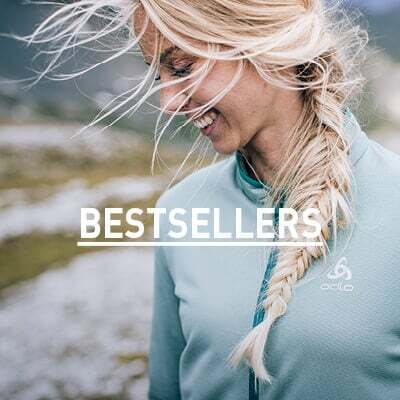 No wonder the ODLO Women&apos;s Activewear is so popular: natural colors, high wearing comfort, soft materials combined with a stylish look, make the Women&apos;s Activewear collection an absolute must-have of the season! We just say: MOST WANTED! In addition to the three key styles of ZAHA HADID DESIGN, this year&apos;s Women&apos;s Activewear collection will be complemented by the styles Alma Natural, Lou and Lilly Woven. Discover these new styles now! Get ready for your next sporty adventure with ODLO’s sports underwear line PERFORMANCE LIGHT: An outstanding moisture management and highest wearing comfort will make you feel comfortable and fresh even in hot temperatures, so you can focus on your performance or finding cool places in the great outdoors. 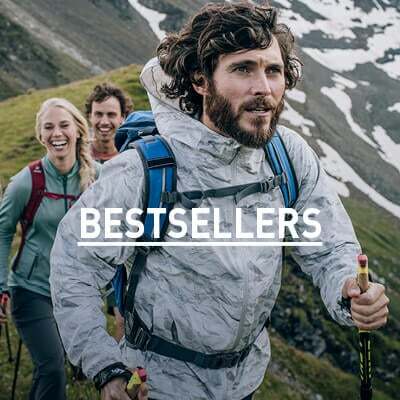 Suitable for a wide range of activities, these super light garments should be an essential on every adventure packing list!